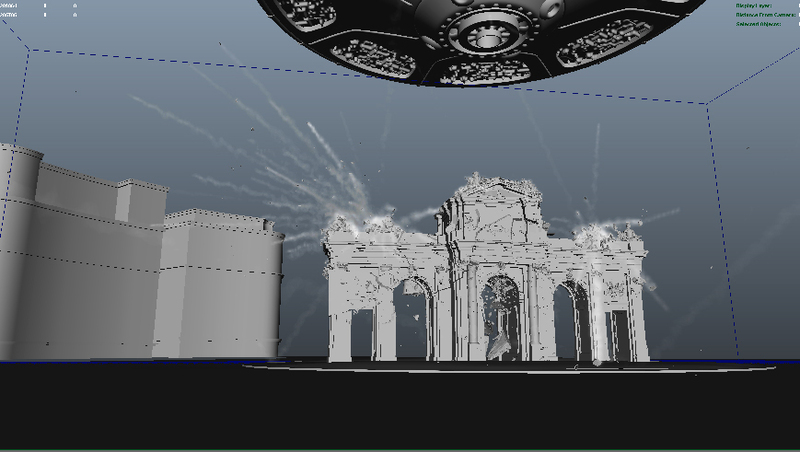 dont worry Madrileños, Puerta de Alcala is still there:), Roberto kindly explains how he did this shot using Pulldownit plugin and Maya fluids. Why did you decide to make an UFO attacking in Madrid? Some time ago I did a previous test with Pulldownit and Maya fluids, just to try this plugin, to my surprise it wasn’t difficult to make my model blow apart very nicely, that encouraged me to make a complete shot in a more realistic way in my spare time. 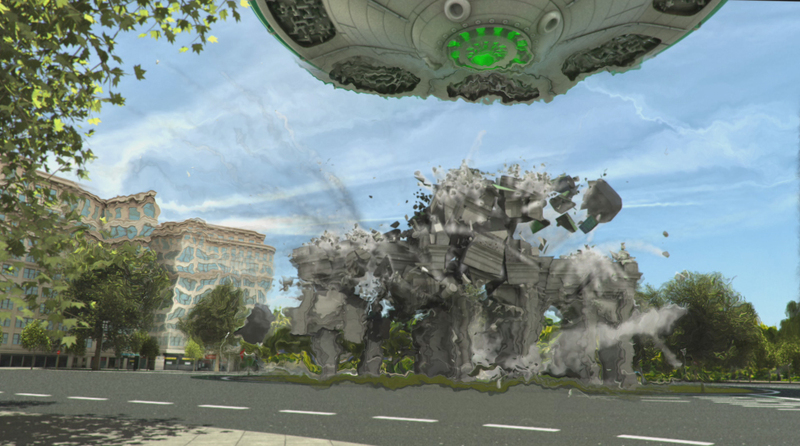 I currently live in Madrid, so I decided to make an UFO attacking the “Puerta de Alcala” because it is an emblematic monument in this city, like blockbuster movies in which UFOS always destroy monuments. 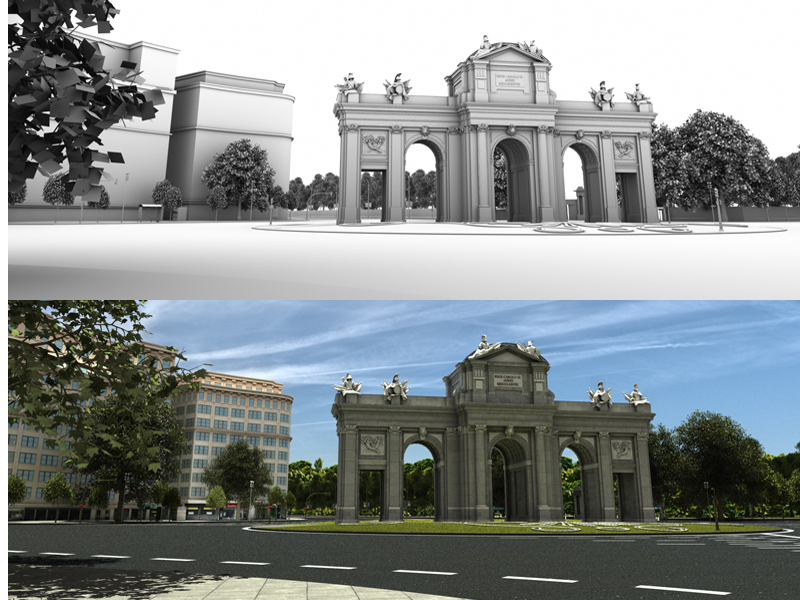 How did you model the “Puerta de Alcalá”? I built a new model of the “Puerta de Alcala” trying to make it as realistic as possible, for this I went to the place for several weekends and I took lots of pictures of the monument, I used a front picture of the building as an image plane to build the overall proportions of the structure, from there I started adding details little by little. I modeled the main structure as a single shape, but for statues and other ornaments I did them apart not to complicate the base model too much and besides, it allows me to handle shapes independently if needed , always making sure there weren’t holes in the models or duplicated edges as Pulldownit needs this to shatter objects correctly. 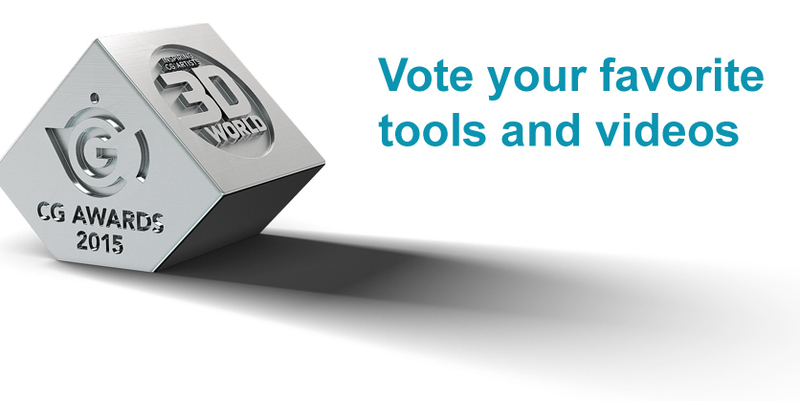 How did you model the environment, buildings and trees? I took several pictures of the environment, specially the trees, I found out the exact type of tree in this area of Madrid and luckily find a similar model on the web, I had just to apply a photo shader for the trunks and replace the leaves for the correct ones. 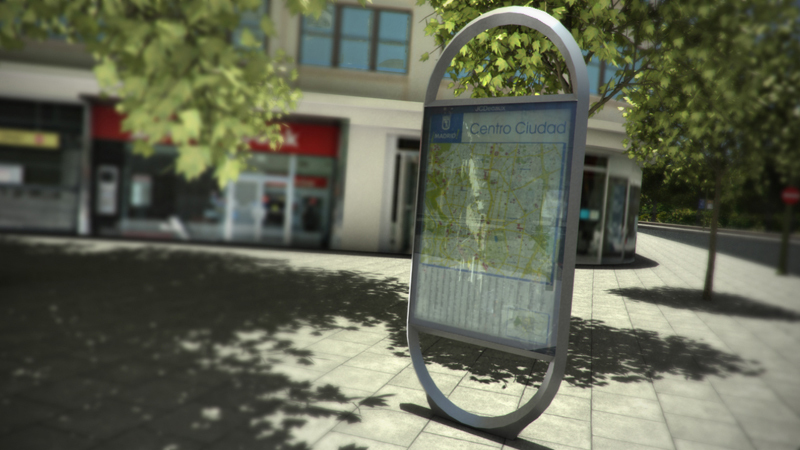 I modeled by myself other elements like the bus stop, the cigarette kiosk and the landmark with the city map because I wanted to approach the real environment as much as posible. How did you model and animate the UF0? Modelling the UFO wasn’t difficult but involved quite a lot of time because I wanted it to be different to any other UFO seen in films or games , in order to animate the rotations of the different rings, first I did was a little hierarchy of groups and then wrote an expression with randomness in the 3 axis to avoid too regular rotations of the rings. How did you shatter the building? It was very easy, just selecting the shapes and let Pulldownit shatter them, only I had to shatter the main building and the ornaments in different stages to get the look I wanted for each kind of shape. 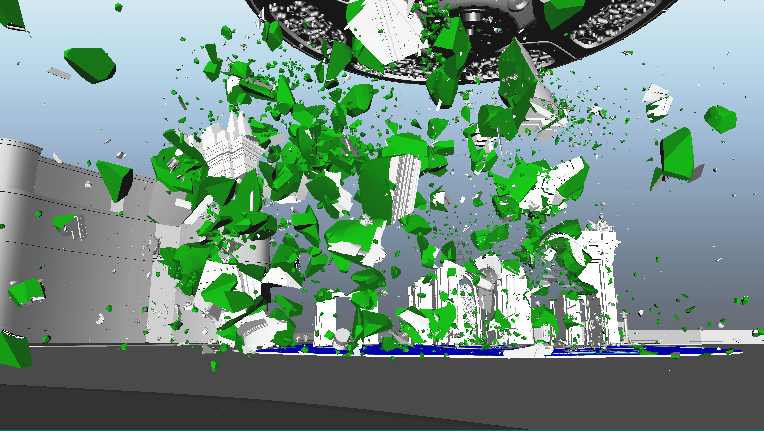 I did several shatter tests before getting the look I wanted so I had also to clean the scene for unused geometry before moving to dynamics.How did you simulate the destruction of the building with Pulldownit? I created fracture bodies for every group of fragments and started simulating everything together but the result was too chaotic, there were thousands pieces in motion which make difficult to handle them and drive the simulation so I decided to remove everything but the main structure to focus in the way it explodes and adding the destruction of the ornaments in a second stage. 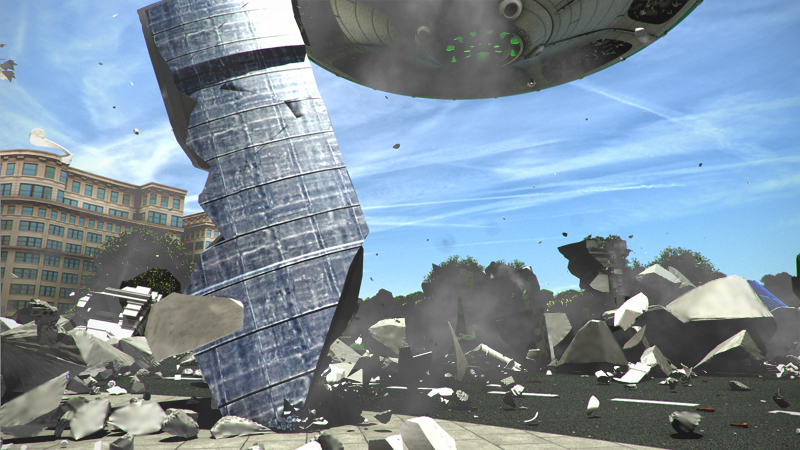 I used a volume axis field to make the main building exploding inside out. 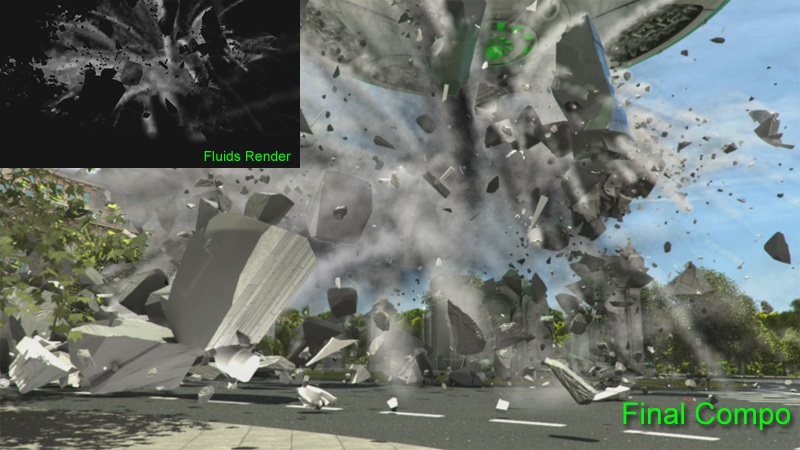 Once I was happy with its dynamics I cached it and start making the statues exploding aswell, as before I assigned a volume axis for each statue and animating the volume I make them exploding actually one second before the main building breaks apart, because I wanted the statues destruction being like the prelude of the big explosion. How did you add smoke trails to flying fragments? I did the smoke trails using Maya fluids, to emit from the internal faces only first I did was separating those faces from the rest, that wasn’t difficult as PDi applies a different material to these faces. Then I combined all those internal faces in one single shape, thanks to history the animation was preservedJ, after that I was able to emit particles from this single shape in the usual Maya way, and making a goal of value 1.0 to these particles, they remained stuck on the faces, by limiting the emission of particles to match the number of vertices of the shape I got one particle per vertex. After that I created a fluid container and set the particles to be the emitters of fluid; in this way I was able to add an expression to drive fluid emission based on particles velocity, sadly this expression prevented from cache the particles but the method was good enough to get it done. How did you render smoke trails? I used Maya software to render the fluids, it get along very well with fluids, for example it respects the fluid volume perfectly. I had to apply a surface black shader to every object in scene for not seeing them in the alpha channel and compose fluids render with the rest later in After Effects. 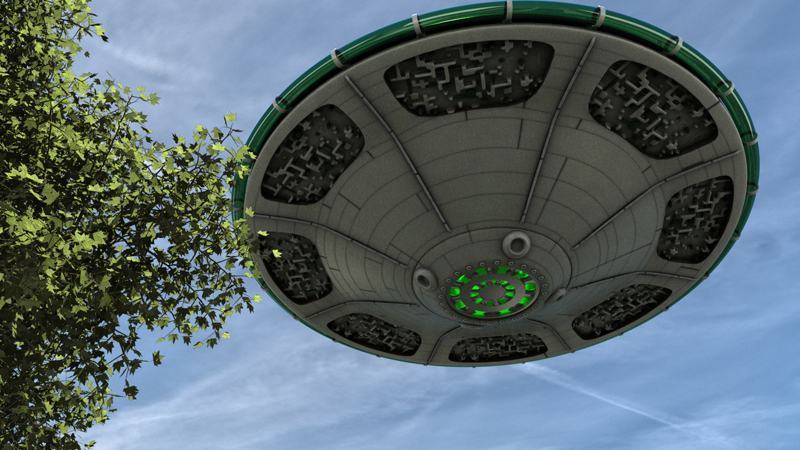 How did you added green lightnings from the UFO and image distortion? I did green lightnings using a tool of After Effects, you have just to set the source of the ray and the target position, aside other parameters like its color. You have to animate the ray by hand , but once done, simply by cloning it and modifying the source and target you can get as many rays as you want in a blink. I applied also an effect of distortion when the building explodes to get the feeling of an expansive wave. For doing it I used a mix of 2 alpha masks with a distortion filter. I think one important thing when destroying large models is the feeling of scale, so a monument doesn’t look like a kid’s toy when falling and breaking. Pulldownit makes very easy to change gravity and masses to get the correct feeling of scale. This plugin is very stable and easy to use, each new version improves in workflow and features that’s great, it is perfectly integrated with the Maya workflow, specially for particles and fluids. I like also the fast computation of fracture so you can make little changes and see the result quickly in the viewport.